Impact of ccTLD On Global Ranking? After sharing gen on different domain ranking factors like domain history, exact match domains let’s take you through another domain factor that influences SEO. A frequently asked question from all SEO community, Can ccTLD limit my global ranking? But first, let’s understand what is TLD? 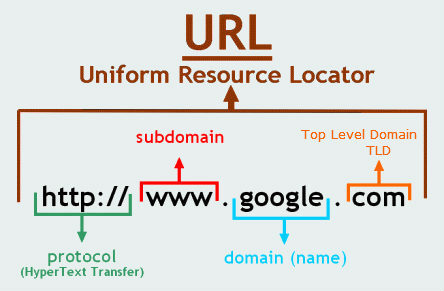 Top-level domain (TLD) refers to the last segment of a domain name or the part that follows immediately after the “dot” symbol. For example therankmachine.com, “therankmachine” is our domain name and “.com” is TLD extension. General TLD’s is the most common and well-known name for an internet address. For Example; example.com( Commercial ), example.org( Non-profit Organisation), example.edu (Educational Institute) etc. Brands registered under this domain name has the flexibility to target their users in a particular geographic location by using search console international target tool. Country Code Top Level Domain is an Internet top-level domain extensions which are used to indicate that a particular site contains content specifically relevant to a particular country, territory, or region. Does cc TLD limit your global ranking in SEO? Using ccTLD doesn’t really hamper your SEO and using gTLD in your domain name doesn’t guarantee to rank you globally. We know the primary motto of Google is to provide relevant and useful information to their users. Using a ccTLD extension in domain helps Google to understand which country is more important to you. If you are using international domain extensions like .com, .org, it doesn’t mean you will rank globally. Google will try to understand your relevant audience from your TLD and from other several signals such as IP address, location information on the page, backlinks to the page and target it accordingly. Amazon has different domain extensions for the different country that helps them to target their audience properly. Google also does the same thing, they have different domain extensions for each country like google.co.in for India and google.fr for France. Whenever you visit google.com it will automatically redirect you to the country specific TLD you are visiting from. This is because Google locates the IP address of your country and redirects the user for best local & relevant results. Why rank locally when u can rank globally? Yeah! It is good to rank globally but this is good for you only if you have a multinational company. What’s the use of ranking in UK or America when you can go niche and rank for potential users within your region and country who can bring business to you?The more you have the less you get. It is better to rank for you target country than ranking for an irrelevant country. Using a TLD is a matter of choice many people opt for ccTLD because brandable domains are not available sometime. But TLD is always the best, who knows if you expand to an MNC company. If you have an option to choose from .com and .in always choose .com. Eg: brand.com was already taken by some other brand so you have an option to take country code extensions for your domain name like brand.in or brand.fr. Google treats all TLDs equally. It’s just a myth that Google restrict your website ranking if you use ccTLD. But there are some default geo-specific TLDs which Google uses it to target a specific country. To Google, these default geo-specific TLDs act as an indicator, that the website is more relevant and important in a specific region or country. Previous PostPrevious Private VS Public WHOIS Data? How It Impacts SEO?